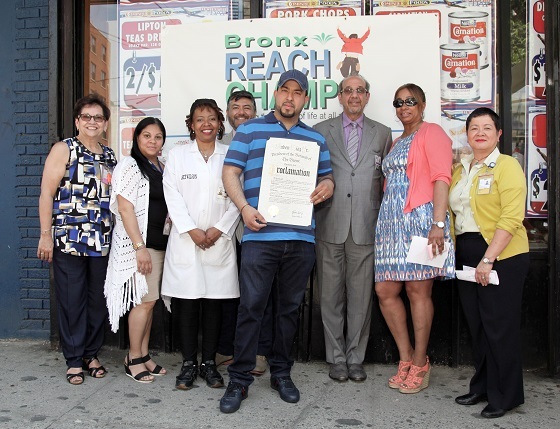 Bronx REACH CHAMPS, a coalition of partner organizations aiming to reduce obesity and improve the overall health and wellness of the community, hosted a recognition ceremony on Thursday, May 26 for Compare Foods on Cypress Avenue. The store completed all seven steps of the Shop Healthy NYC program, and received a proclamation from the Bronx Borough President's Office. 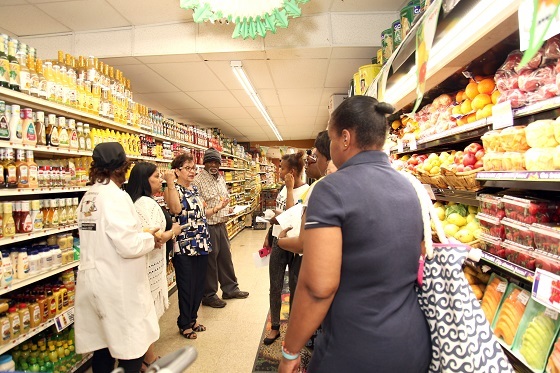 Shop Healthy NYC works with communities – including residents, food retailers, and food suppliers and distributors – to increase access to healthy foods. 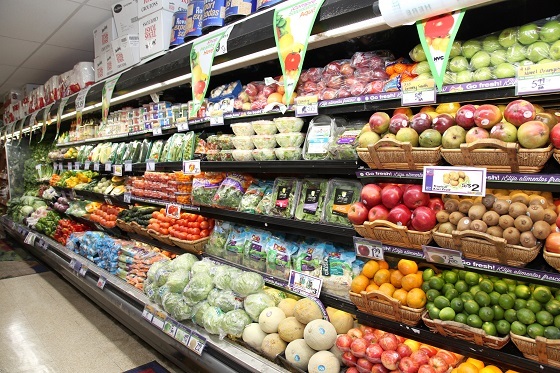 Shop Healthy NYC’s main focus is on those neighborhoods with high rates of obesity and limited access to nutritious foods. Representatives from Bronx REACH CHAMPS coalition partners Bronx Community Health Network, Inc. and NYC Health + Hospitals, Gotham Health-Segundo Ruiz Belvis, plus community partner organization MetroPlus Health Plan. 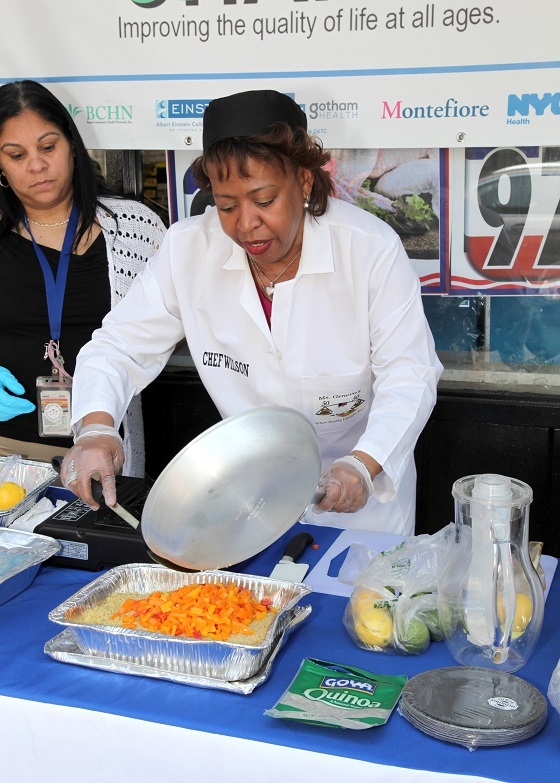 In addition to the general manager of Compare Foods being presented with a proclamation from the Bronx Borough President's Office, the event featured a walking tour of the store and a healthy eating demonstration by Chef Geneva Wilson. Chef Wilson sauteed fresh vegetables for Quinoa; offered a demonstration on how to make a breakfast parfait; discussed the benefits of healthy options like infused water or fruit and vegetables; and offered instruction on reading food labels. Check out additional photos below.